Nifty Niblets are cool, fun, interesting and amusing nuggets about gadgets, food, videos, animals, science and more. Have some grapes around and want to get rid of them quick? Leave it to beaver. 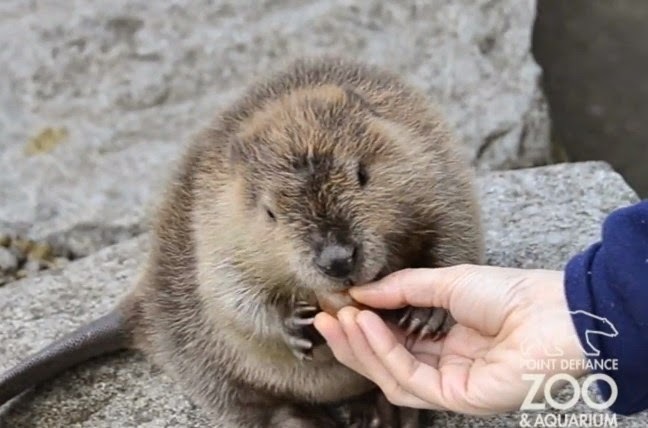 Or, rather, feed them to this baby beaver. Her name is Hazel, and she lives at the Point Defiance Zoo & Aquarium in Tacoma, Washington (pdza.org). A smidge of this with a dash of that. Is This the Best Steve Martin Talk Show Appearance Ever?